If only it had a more powerful engine. Subaru sells emotion. Their entire marketing strategy is about "love," which is actually a pretty accurate take on how we buy cars. There's very little logic in a lot of our buying decisions. Consider how much time some of us spend in our vehicles -- there's nothing wrong with picking an automobile that gives you some sense of happiness. That's led to a rise in SUV sales, because big cars make Americans happy. Seeing the market for SUV grow while not having one its own to sell, Subaru introduced the Crosstrek, a crossover that will appeal to buyers looking for an all-wheel drive in a big (but not too big) package. 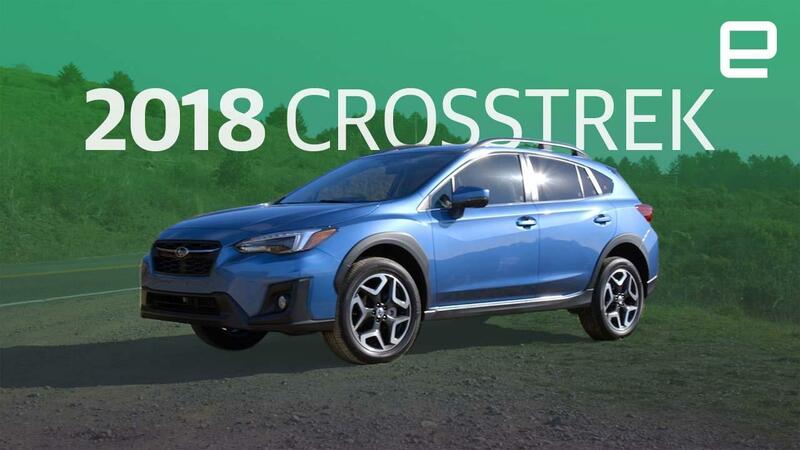 Starting at $21,795, the Crosstrek is an inexpensive entry into the crossover market from a company best known for its all-wheel-drive vehicles. Throw in 8.7 inches of ground clearance, an upgraded infotainment system and up to 33 miles per gallon, and it's no surprise that the Crosstrek's sales have increased year-over-year since its introduction in 2014. If only the engine had a bit more get-up-and-go from the engine. Behind the wheel, the Crosstrek smoothes out road bumps and potholes splendidly for a car in its price range. While I was unable to find any appropriate off-road locations in the Bay Area that didn't require me to break a host of local laws, the streets in my San Francisco neighborhood are currently being ripped up by construction crews. These mangled avenues gave us a good indication that even when faced with asphalt drop-offs, ruts and speed bumps, the Crossover delivers a comfortable ride. That ride doesn't translate into a switchback-munching, cornering machine. But it can hold its own during everyday driving on the clover-leaf highway off ramp and around the corners of the local subdivision. Not that you can push the Crosstrek too much into those turns. With a 2-liter, 4-cylinder Boxer engine putting out 152 horsepower and 145 pounds of torque, this small SUV needs a good, long runway to get up to freeway speed. The zero-to-60 time is about nine seconds. So sit back, relax, and don't expect to go blasting onto the highway. While we pine for a turbo shoved under the hood, overall the Crosstrek drives better than its price would suggest. That value proposition continues on the inside as well. The front and back seats are both comfortable and this new model is also roomier than the previous generation, which was introduced in 2014. The trunk, meanwhile, has enough space for a couple to take a weekend getaway, even if they overpack. Plus, the rear seats fold down to increase the space for an entire weeks jaunt (which for me translates into about six pieces of luggage) with plenty of room for some sporting equipment, too. In addition to expanding the cabin, Subaru added its latest infotainment system, called StarLink -- a marked improvement over the technology it replaces. Though the design and UI feel reminiscent of a budget tablet, it's still better-looking and easier to use than a lot of other systems on the market. It does suffer from some latency issues, though, especially when you're swiping left and right. Also, my taps on icons were occasionally met with a two-second delay. Still, the time between tap and action usually wasn't any worse than the rest of the systems on the market. Fortunately, Starlink supports both Android Auto and CarPlay for your portable computer needs. Above the touchscreen (you have a choice of 6.5 or 8 inches) is an additional display that I found quite useful. With it, you can see additional information like the time, weather, average fuel consumption and turn-by-turn directions, to name a few examples. The rest of the dash and controls can only be described as utilitarian. Subaru isn't known for its cutting-edge controls design layout. It's nice if you're tired of searching for or trying to decipher a button or knob. But it lacks any real flair. Instead, most of the design team's efforts seem to have gone into the exterior. Though this compact SUV has some striking lines and angles, it still doesn't come close to the aggressive corners and fins you'll find on something like the new Honda Civic. The design is softer, so as to appeal to a broader group of customers. During my elevated-seat drives I got a chance to check out Subaru's driver assistance package EyeSight. The adaptive cruise control did a fine job in both moving traffic and gridlock. But if you come to a stop and the car isn't moving again after a few seconds, the system will shut off. It does have an audible alert to tell you it's about to hand control back to the driver. Still, if you're stuck in non-stop stop-and-go traffic will multiple long pauses, this can get annoying. The lane assist feature, meanwhile, is more of a suggestion. It helps you stay in your lane while you're actively driving, but it's not really made to keep the car on track for long stretches like Tesla's Autopilot feature. Instead, it just sort of nudges you if you're veering too close to the edge of your lane. Sadly, EyeSight is not available on the base level Crosstrek. That option starts at $1,400 for the mid-level Premium trim and $2,100 for the high-end Limited trim (the version I tested). Without the added safety feature, the Crosstrek--even with its lack of power--is a fun all-wheel-drive value that has the potential to win the brand even more fans. Sure, the Subaru Forester has more cargo space and starts at only about $1,000 more, but it's a wagon and people (Americans, at least) seem to be in love with SUVs. It's that love that Subaru is counting on.